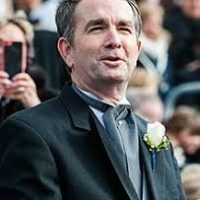 (Richmond)- Virginia’s Democratic congressional delegation is calling for Governor Northam’s resignation. A joint statement released yesterday called the fallout among the state’s top leaders devastating. There was no mention to call for the resignations of Attorney General Mark Herring or Lieutenant Governor Justin Fairfax. The Democrats said the blackface scandals connected to Northam and Herring have reopened old wounds left by Virginia’s long history with slavery.